Pine Cliffs Gardens are the most recent luxury apartments from Pine Cliffs Resort. These units are ideal for family holidays, located at the entrance of the resort, surrounded by imposing gardens and a majestic pine tree scenario, with access to all the resort’s facilities and restaurants. 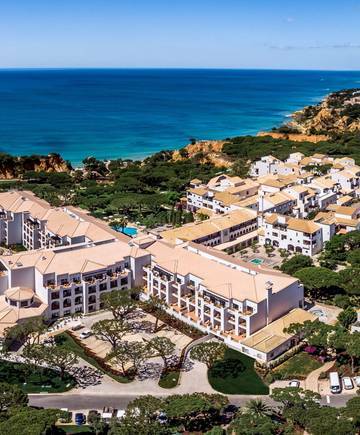 True to the Pine Cliffs Resort aesthetic and design with the contemporary seamlessly fusing with the traditional to create beautifully appointed, luxurious units that radiate relaxed, stylish and indulgent Algarvian living. 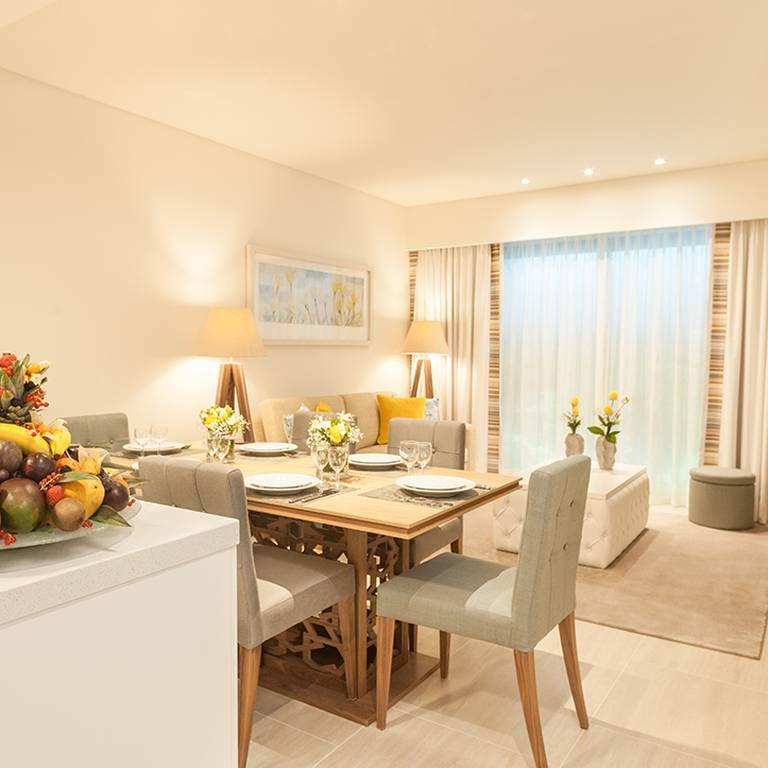 ​87 luxury one, two and three bedroom apartment suites with fully equipped kitchens. Located in one of the most desirable locations in the resort, surrounded by imposing gardens and majestic pine trees. 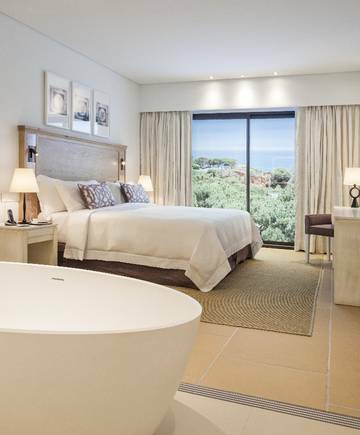 Master queen bedroom with en-suite bathroom with hairdryer, magnifying mirror, bathtub and shower. Access to all Pine Cliffs Resort facilities and services.